In order to try to increase yield of my cross-metathesis, it was suggested to carry out the reaction in the microwave (a lab microwave, not a kitchen microwave). The rationale for this was that microwaves accelerate the reaction, but thinking on how a microwave actually works, it's basically just heating in the same way as I could achieve with a PEG bath. When I searched the internet, there are lots of reviews and even books published about microwaves in organic synthesis, but I can't find a coherent argument for what microwaves are doing that makes reactions 'magically work'. The radiation in theory simply causes the molecules to move creating heat, as far as I know, it isn't like photochemistry where something mechanistically different can occur. From the table above, its clear that microwave radiation is not strong enough to cause any actual chemical change itself (other than via the temperature it creates), for microwave radiation used by common household and lab microwaves (2450 MHz, which is important as it avoids interfering with communication equipment), the energy is sufficiently low that it couldn't in theory even over-come a hydrogen bond. the microwave is able to quickly reach a given temperature, with only a short induction period. The result of this is that the reaction reaches the desired temperature quickly, rather than slowly warming from room temperature. This means that the reaction gets going immediately, which can be especially beneficial in cases where the catalyst/reagents being used aren't terribly stable (your metathesis is one such example where the catalyst can quickly degrade in solution). 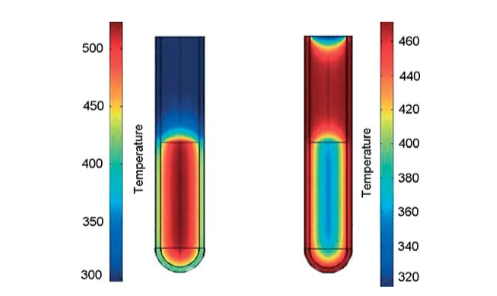 the microwave heats the solution directly and uniformly, compared to heating conveniently where the glass is being heated and in turn the glass heats the solution. 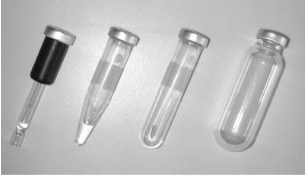 the vials used in microwave reactions are sealed (they're closed systems), which means in addition to temperature, they're able to carry out reactions under increased pressure, allowing the reaction to be heated above the boiling point of the solvent being used. Non-thermal effects, or 'specific microwave effects' are defined as accelerations of chemical transformations in a microwave field that cannot be achieved or duplicated by conventional heating, but essentially are still thermal effects. These have been considered by many groups and indeed a wikipedia page exists discussing them, however they're difficult to show/prove experimentally. 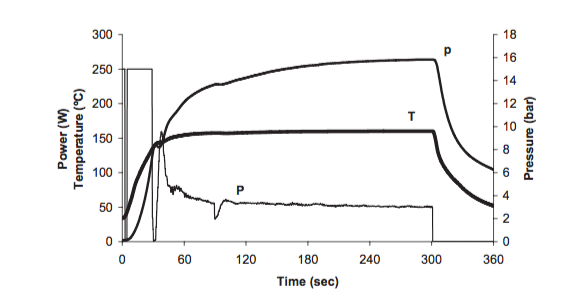 For solution phase organic synthesis, its generally accepted that there is no specific microwave effect. Only in solid phase systems (ionic lattices for example) is there anything to suggest something unique going on that cannot be achieved using standard heating methods alone. Not the answer you're looking for? Browse other questions tagged organic-chemistry experimental-chemistry equipment or ask your own question. Why use a heating block? How to attach a liebig condenser to a flask for reflux heating? How to test acid-base reactions under pressure? What is the fabric in heating mantles made of?